LINCOLN, Neb. (AP) — Nebraska’s descent from the top of the college football hierarchy is going on two decades, yet those white helmets with the red block “N” remain an iconic piece of the sport’s lore. That might be why the Cornhuskers’ 0-4 start is so jarring, and not just to people inside the program and a fan base that has sold out Memorial Stadium every game since 1962. 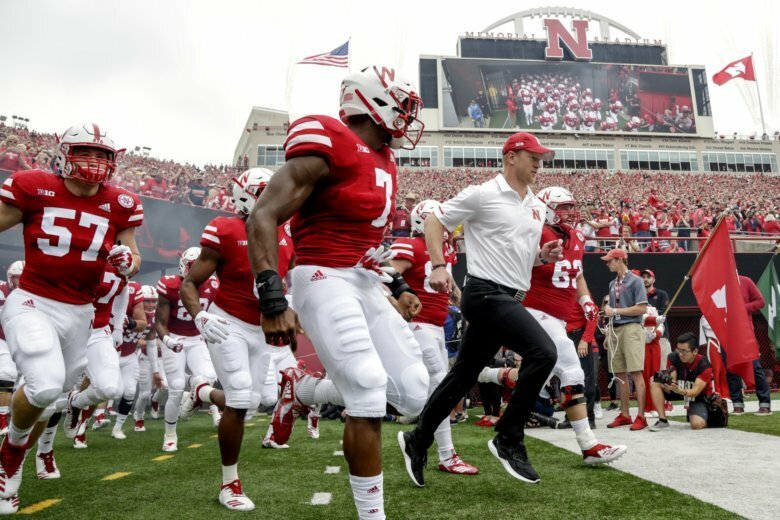 Nebraska’s worst start since 1945 has been a major story line this season, especially after the splashy hire of 2017 national coach of the year Scott Frost, who completed Central Florida’s two-year turnaround with a 13-0 record before he returned to his home state and the program he quarterbacked to a share of the 1997 national championship. The Huskers have lost 14 of their last 18 games, and last weekend they dropped an eighth in a row for the first time in the program’s 129-year history. They’re listed as 17 1/2-point underdogs for their game at Wisconsin on Saturday night. Even the coaches who used to get beaten badly and regularly by the Huskers are having difficulty grasping the current state of the Nebraska program. “Unthinkable. Shocking, really,” said R.C. Slocum, whose Texas A&M teams went 1-3 against the Huskers, including a 39-point loss in the 1997 Big 12 championship game. “It just breaks my heart,” said Jim Walden, who was an assistant at Nebraska under Bob Devaney in the early 1970s and went 1-7 against the Huskers as Iowa State coach from 1987-94. Nebraska ranks fifth all-time in wins, and no team won more from the 1970s through the ’90s under Devaney and Tom Osborne. The Huskers went 309-56-5 for an .842 winning percentage over the three decades, and won all or part of five national championships and 17 conference titles. Nebraska is 150-87 (.633) since, hasn’t won a conference championship since 1999 and hasn’t appeared in the final Top 25 in six years. Schools such as Alabama, Michigan, Notre Dame, Penn State and Southern California have endured lean times, but Nebraska’s down cycle has been lingering. Mason, Slocum and Walden said the turning point was the decision by former athletic director Steve Pederson to fire Frank Solich after a 9-3 season in 2003. Solich had played for Devaney, was an Osborne assistant and went 58-19 in six years. Bill Callahan, Bo Pelini and Mike Riley followed. Osborne’s triple-option offense also gave the Huskers a unique identity that attracted top running backs, and his teams played what Mason called “suffocating” defense. Those days are long gone. Offensive coordinators on the previous three staffs had a penchant for the pass, and since joining the Big Ten in 2011 the Huskers have allowed more than 50 points in nine conference games, including five of the last seven. Walden said he watches Nebraska games regularly and the drop in talent is apparent. Slocum said two factors work against the Huskers in recruiting. High school players don’t know much about the Huskers because they’ve mostly been irrelevant nationally in their young lifetimes. Also, Slocum said, the move from the Big 12 to the Big Ten seven years ago made it more difficult to pull a large number of players out of talent-rich Texas. None of that is to say Nebraska can’t rebound and compete for championships again. Each of the four former or current coaches interviewed said Frost is the right man for the job because he excelled as a player, succeeded as Oregon’s offensive coordinator and UCF’s head coach, and knows what it takes to win at Nebraska. Frost is trying to blend old-school Nebraska principles, such as relentless effort and being the stronger team in the fourth quarter, with the fast-paced spread option offense he brought from UCF.